With a heated indoor swimming pool, you can bathe and even the most timid swimmers can have fun! 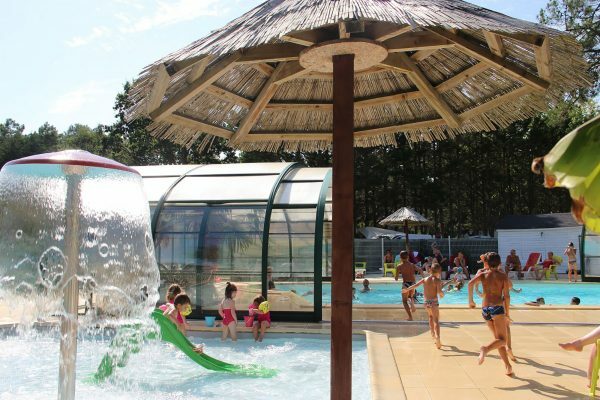 The indoor heated swimming pool with an outdoor heated paddling pool are open when the campsite opens, with completely free access. In an exotic atmosphere with armchairs and deck chairs, ideal for resting at the 3-star campsite the Domaine de Pont Mahé in Assérac near Guérande. Parties of water polo and fitness sessions for adults are offered in July and August. Children, accompanied by their parents, can discover in complete safety the fun of playing in the water in the paddling pool with a baby slide and a water mushroom!! It is mandatory to wear the ID bracelet for access and swim shorts are prohibited. A campsite 250 m from the beautiful fine, sandy beach!! Enjoy the pleasures of swimming, water sports, sandcastles and sunbathing! in the Bay of Pont Mahé! 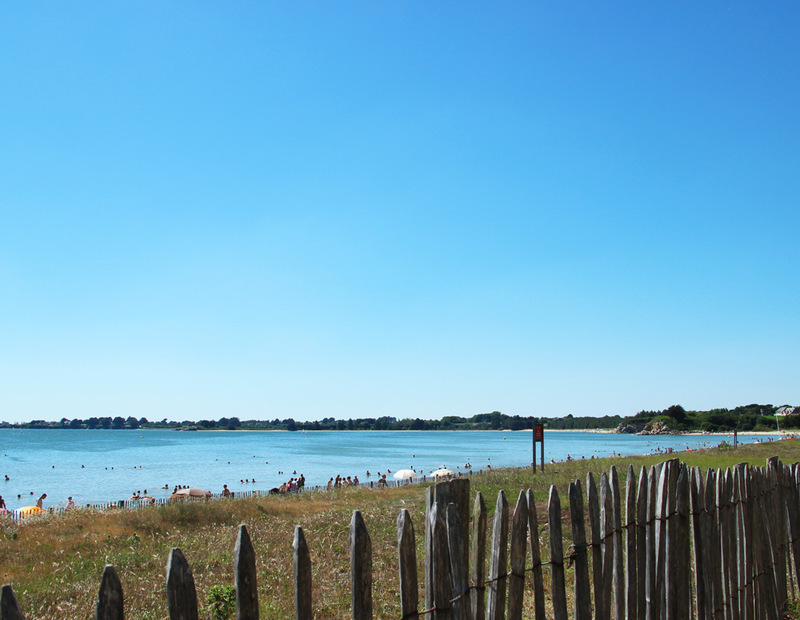 There’s fun for the whole family on the fine, sandy beach in the Bay of Pont Mahé! This “Western Mediterranean” supervised in summer, this calm and reassuring, fine, sandy beach is the ideal playground for children and a little haven of peace for their parents! where the water can reach 28°C! In the Bay of Pont Mahé, the tide can withdraw to over one km, depending on the coefficients. Think about consulting the tide timetables. A few meters from the campsite, the fishing spot of Pénestin will delight all fishermen on foot: fill your basket with mussels, clams, cockles, crabs and other shellfish and seafood. The many beaches of Pénestin (Le Loguy, Le Lomer, Gold Mine, Poudrantais, Maresclé, Loscolo, La Pointe du Bile) welcome fans of fishing and seafood in all seasons. The Bay of Pont Mahé is a Natura 2000 site. It has one of the few dune areas in Loire Atlantique where a remarkable fauna and flora flourish.